Home | Mammals | Harvest Mouse on hazel catkins. 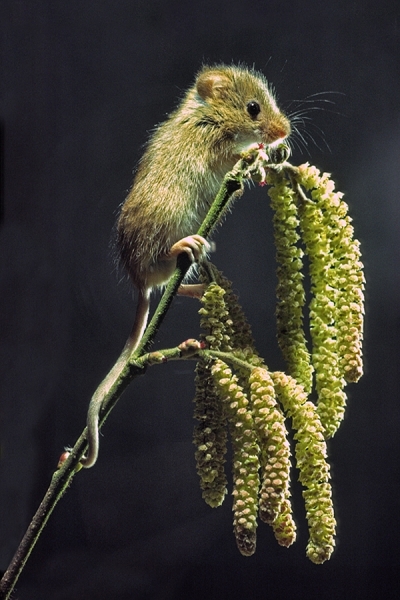 Harvest Mouse on hazel catkins. Taken in a vivarium in my bedroom,in Tadley,Hampshire.